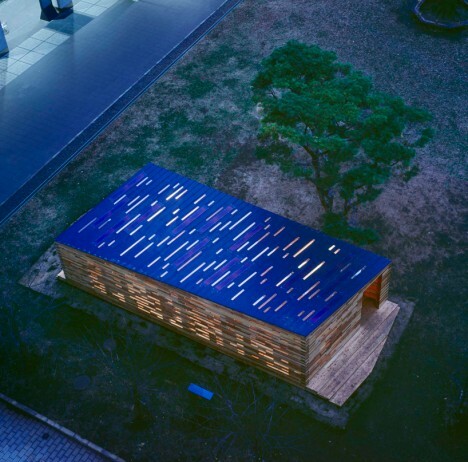 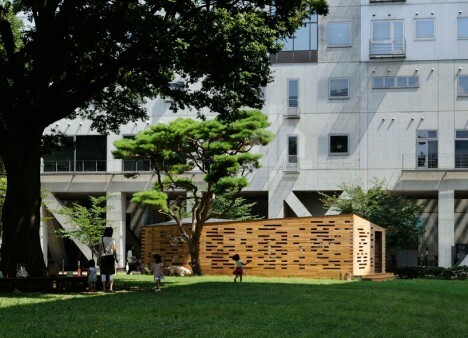 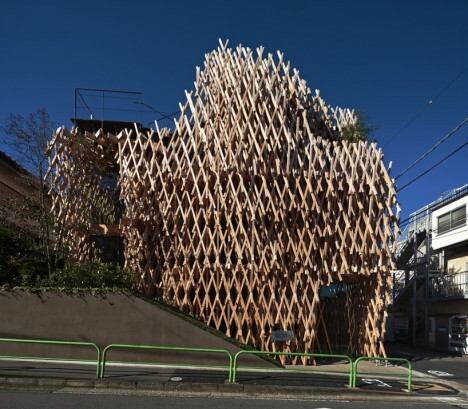 A sinuous timber shell structure stretches between buildings owned by sister companies under the Swiss watch giant Swatch umbrella in this concept by Shigeru Ban. 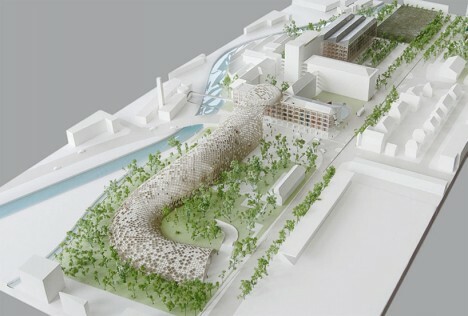 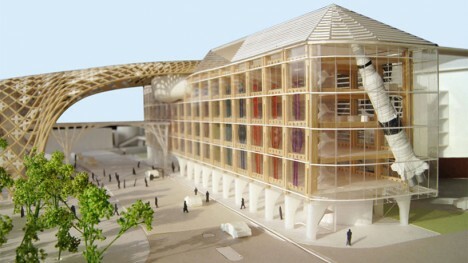 Connecting older buildings with new ones and forming semi-enclosed public spaces, the new addition will act as the company’s headquarters. 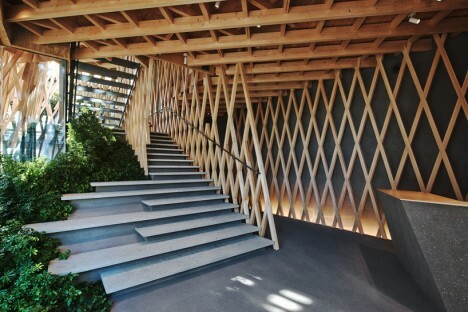 Large pale crosses dot the lattice in a nod to the company’s brand identity. 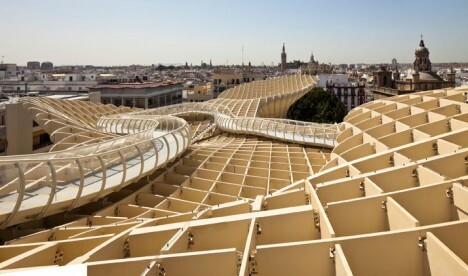 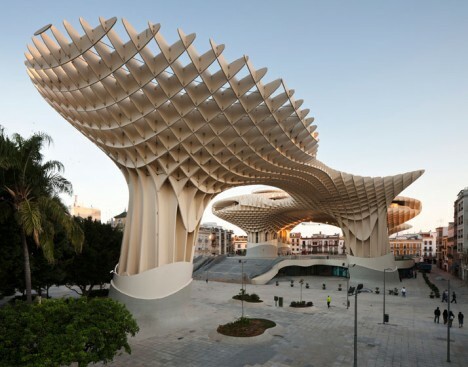 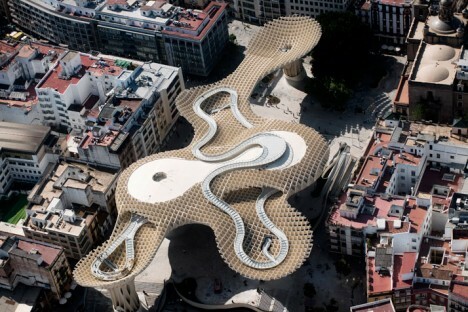 “Realized as one of the largest and most innovative ended timber-constructions with a polyurethane coating, the parasols grow out of the archaeological excavation site into a contemporary landmark, defining a unique relationship between the historical and the contemporary city,” says J. Mayer H. Architects of their creation Metropol Parasol. 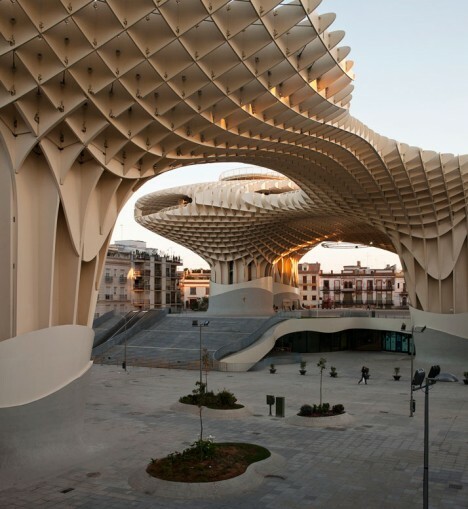 The waffle-like structure in Seville, Spain incorporates the archaeological site as well as a farmer’s market, bars and restaurants over 18,000 square meters. 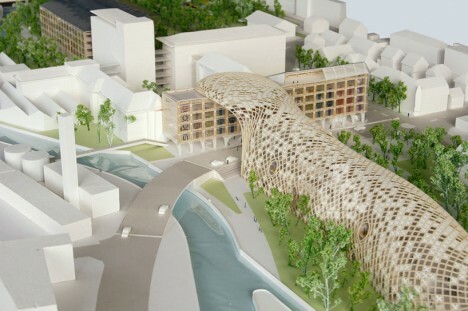 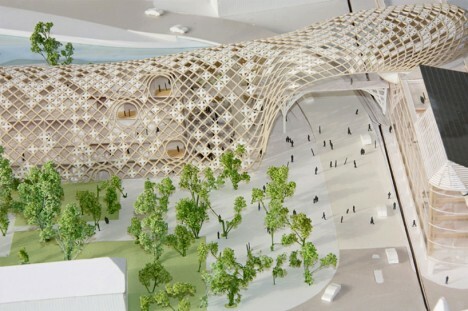 The parasols form plazas and also offer an elevated rooftop walkway from which to view the city. 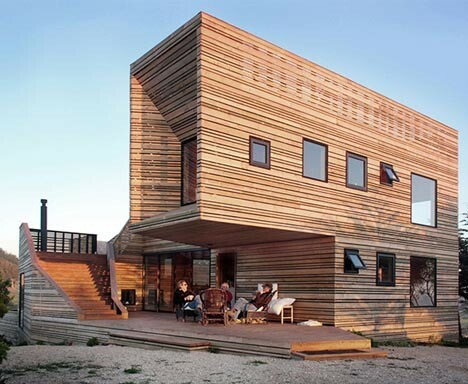 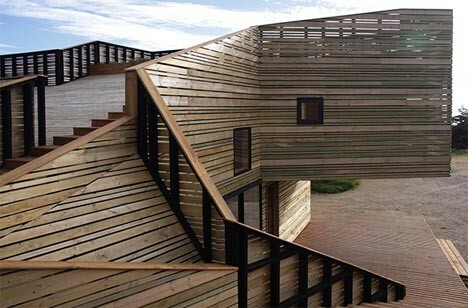 This mountain home in Tunquen, Chile is anything but a rustic cabin despite its raw timber construction, with a path snaking its way from ground level all the way up onto the roof. 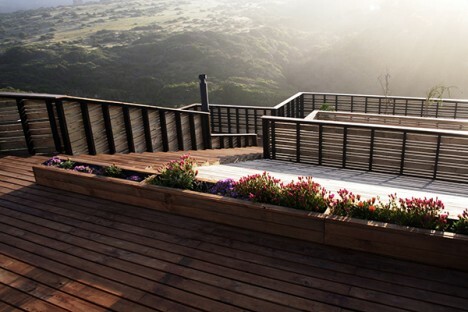 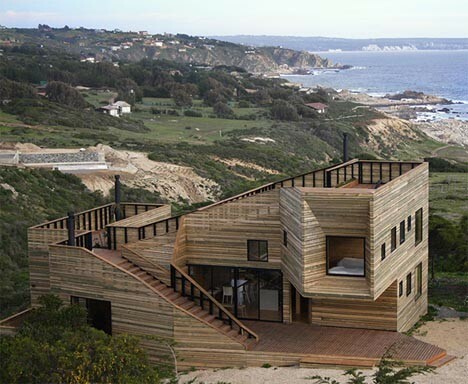 Conceived as both a private space and a platform for outdoor activities, the “Metamorfosis” house is raw and modern at once, providing breathtaking views of the scenery. 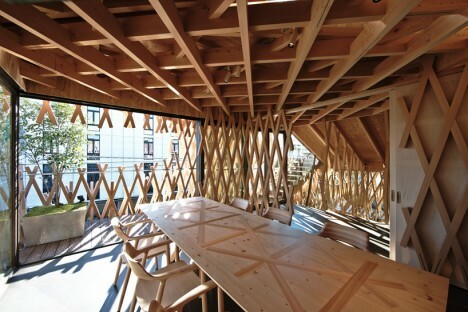 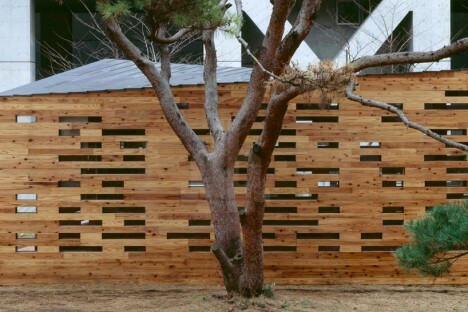 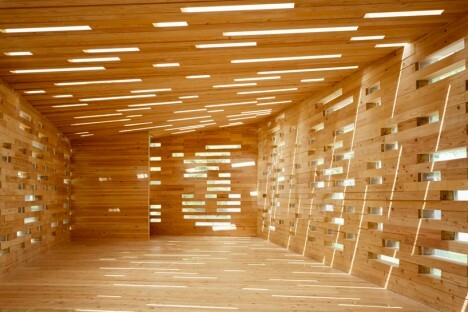 Thin, criss-crossing timber beams create the effect of a dense forest in this latticed wooden facade on a dessert shop in Tokyo by Kengo Kuma + Associates. 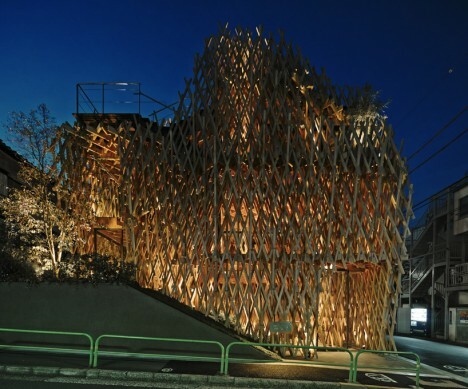 The basket-like arrangement ploys an ancient Japanese construction technique called ‘jiigokugumi,’ which joins the individual pieces of wood together without using glue or fasteners.